The 88 original color palette features a great mix of matte & light satin shimmer eye shadows. It is manufactured by one company overseas but is distributed by many companies, you can even get it on eBay. Just be cautious of shipping charges and schedules as some sellers may leave you waiting weeks. I have not yet tried every color but I can tell you I have used over ½ so far and LOVE every single one. They have great pigment and our very comparable to top name brands. The compact was much larger than I expected, it comes with 2 double tipped sponge applicators & a 5x3 mirror. The applicators are crap and I recommend you get a good brush set. The shadows can be applied dry or wet for an even brighter color. And as always I recommend you use a primer first or they will not last that long. I didn’t have enough arm space to swatch every color but I did want to swatch a few of my favorites so you can see how wonderful they are. 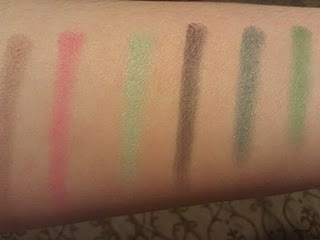 These were all swatched dry with no primer under them so you can see the true product. 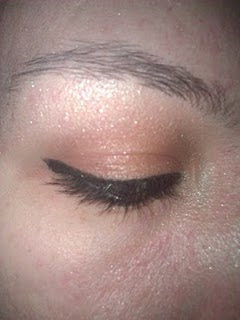 I have created a new eye look every day for the past couple weeks without duplicates and still have tons more to try. I would say every woman, student, make up artist, drag queen etc. across the world should defiantly have this palette in their collection. There are also many more palettes by the same manufacture that I will be adding to my collection very soon. PRO: Amazing value, rich vibrant pigment, shades for every one and every skin type. Plenty of product in each pot for many applications. CON: Make sure you pay attention to sellers turnaround time if it ships from overseas you’re looking at weeks so I recommend finding a U.S seller. At 9x6 it’s not going to fit in a makeup bag so you can’t take it with you. Some of the pots may be lose. OVERALL: I can’t say enough great things about this product. So go find it and buy it right now you won’t be sorry. Love this review, can't wait to try mine!